One of the more prominent thought-experiments for those watching Central Asia deals with the region’s plans for succession – or lack thereof. In such top-heavy political atmospheres, largely closed and calcified, musing on succession in Kazakhstan, Uzbekistan, or Tajikistan has become something of a pastime in and of itself. When Uzbek President Islam Karimov disappears for weeks, or when Kazakh President Nursultan Nazarbayev purportedly jets to Germany for surprise surgery, questions and concerns and hypothesizing spike once more, grasping at what little information trickles out. Often, the assumptions about succession take two tracks, based on recent regional precedent. The first presumption looks at Turkmenistan’s model of succession, in which a claque of elites privately selected Gurbanguly Berdymukhamedov, a centrist dentist able to balance competing interests. The second model points to Kyrgyzstan, which, in both 2005 and 2010, imploded into ethnic clashes and political vacuum, autocracy replaced with a period of anarchy. The dichotomy between the two models, according to these assumptions, is stark: Order or chaos, procession or pogrom. A middle ground rarely, if ever, appears. A recent policy brief from The Program on New Approaches to Research and Security in Eurasia (PONARS Eurasia), however, seeks to bring that disappeared middle ground back into discussion. Scott Radnitz, an Associate Professor in the Henry M. Jackson School of International Studies and Director of the Ellison Center for Russian, East European, and Central Asian Studies at the University of Washington, notes that despite “chances [being] high that some of the predictably predictable states of the region … will experience major leadership turnovers” soon, the Turkmen/Kyrgyz models don’t do the possibilities justice. In actuality, a third way seems to carry just as much potential. Instead of assuming a smooth passage to a successor, or instead of anticipating ethnic- and state-collapse, another option remains on the table. There seems little likelihood the successors will enjoy the legitimacy and stranglehold the current batch of presidents enjoy. 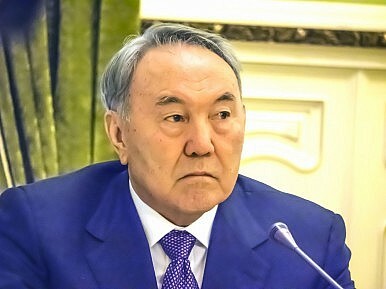 This reality hangs most especially in Kazakhstan, where Nazarbayev’s successor will enter without the legitimacy or appeal of the current president – nor, likely, with the support of the country’s substantial ethnic Russian population. In part this diminution in power will stem from personality and resume, but it may equally derive from the simple fact that a scramble for influence – a rewriting of the rules extant – will reshape a system in a different manner: a diminished power vertical, a reallocation of influence to external hubs, “a renegotiation of the distribution of power, whether formalized or not.” Not the Turkmen model, not the Kyrgyz model, but a third offering – a potential route, set to be put to the test sooner rather than later.